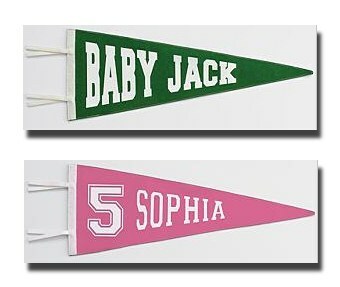 The Old-school Personalized Pennant is currently on sale for $14.95 at RedEnvelope.com. That's 50% off the list price of $29.95! Most items are personalized at no additional cost. Be sure to visit the Red Envelope sale section and clearance section for more Red Envelope deals for personalized gifts!